London, 1750: Beatrice Scarlet is the apothecary's daughter. She can mix medicines and herbs to save the lives of her neighbours - but, try as she might, she can't save the lives of her parents. An orphan at just sixteen, Beatrice marries a preacher and emigrates to America. 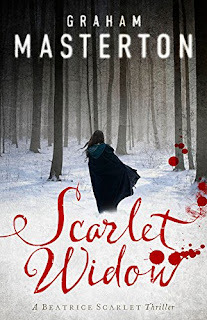 I felt sure I must have read a Graham Masterton book in my past, but nothing looks familiar so Scarlet Widow, surprisingly, appears to be my introduction to this well known British horror author. Scarlet Widow, although filled with death and destruction, is not a graphic hide behind the couch horror and I thoroughly enjoyed it. 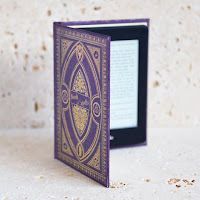 From the early days in London when Beatrice loses her mother and father in such disturbing and tragic circumstances to her investigation of strange goings on in America, I was absolutely riveted to the story. Beatrice was quite close to her father and has picked up lots of his apothecary knowledge, which stands her in good stead as she looks for scientific reasons for the strange happenings attributed to Satan. In a community that is still reeling from the Salem witch trials, the residents are quick to sign over their land to the demon that is terrorising them. As victims, both animal and human, succumb on every farm, stranger Jonathan Shooks rides around the town collecting parcels of land signed over to the demon in exchange for healthy lives. Beatrice's husband, Reverend Scarlet, implores the townsfolk to trust in God as he finds himself time and again locking horns with Jonathan Shooks in a battle of good versus evil. I could feel the townsfolk's fear and despair oozing out of the pages; as their fear gives strength to the greed and evil, I almost expected the Four Horsemen to ride into town at any time. As lives are put in more and more danger, Beatrice uses her skills as an apothecary to investigate these terrible ailments. With a mysterious hooded grim-reaper type figure lurking around her farm, Beatrice puts herself and her family in grave danger as she attempts to uncover the truth about who Jonathan Shooks is really working for. There were plenty of shocks and surprises in Scarlet Widow as nobody is exempt from becoming the next victim. There was a difficult to read part near the end as Jonathan Shooks finally catches up with Beatrice and I felt myself quivering with anger at his brutality. 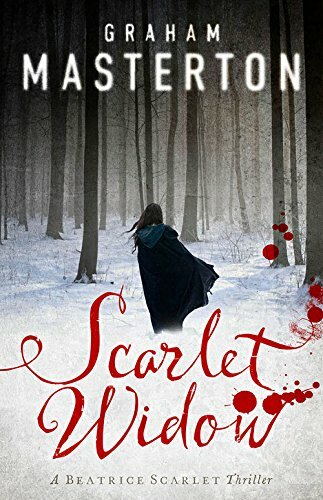 Scarlet Widow certainly succeeded in whisking me away to an 18th Century American community that, following the Salem witch trials, was frightened of its own shadow. Beatrice is a very strong character and I loved her scientific approach to explaining all the strange events in her life - she's like a scientific 18th Century Miss Marple. I will definitely be looking out for the next book in the Beatrice Scarlet series.